Lyme disease or Borreliosis is currently the fastest growing vector borne infection in the world. It is a potentially debilitating disease caused by bacteria called Borrelia Burgdorferi. It is transmitted to humans by infected ticks that attach to your skin to feed on your blood. Whilst the ticks are feeding the bacteria is released into your bloodstream, the longer the tick is attached to your skin the higher the risk of infection. It can take weeks, months or sometimes even years before the symptoms appear. The disease can sometimes crop up years later following an illness or period of stress. The first indication of Lyme disease is usually a red expanding weal around the site of the tick bite, followed shortly by fatigue and chronic flu-like symptoms in the second phase of the illness. The third phase of Lyme disease is a chronic arthritis in the vast majority of sufferers. This is extremely painful and particularly affects the knee joints. Lyme disease is preventable. The risk of being bitten by a tick can be reduced by taking sensible precautions, the most obvious of which is to wear appropriate clothing. 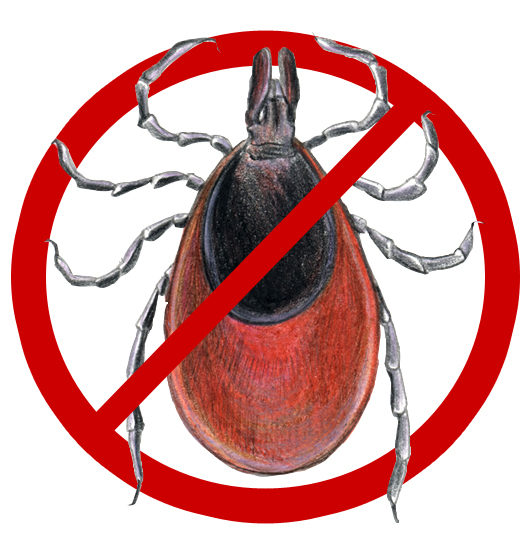 Ticks are more visible and can be easily removed from light-coloured clothing. Wear trousers tucked into socks and long-sleeved shirts to try to prevent direct access to the skin. A general purpose insecticide used on the wrists and ankles can provide a decent degree of protection. More information about the symptoms and treatment of Lyme disease can be found at www.ticktalkireland.org. There’s also some useful information about tick prevention and removal. Tick Talk Ireland is Ireland’s first Lyme disease charity and was founded by Lyme sufferers to encourage awareness, prevention & treatment of Lyme disease (Borreliosis) in Ireland. They received official charitable status in February 2011.